My last night in Austin before flying off to Mexico City – where I’m writing these words – was another great night at the open mics: I went to two of them, and they were diametrically opposed in terms of vibe. And I loved both. 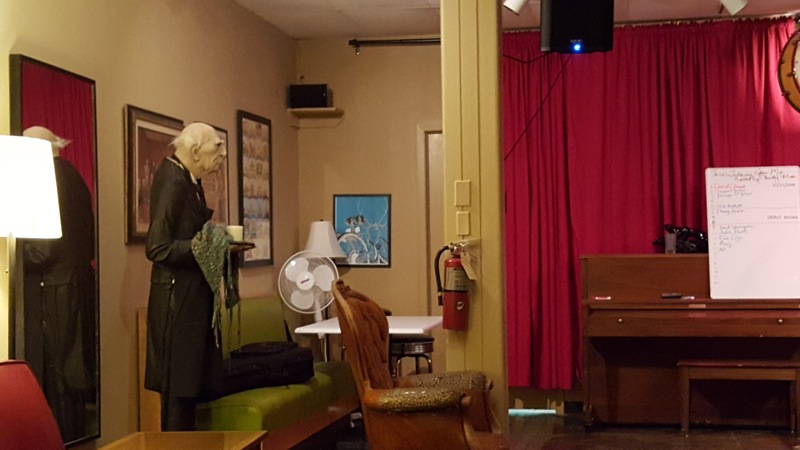 The Austin Songwriters Group has moved from its warehouse/clubhouse kind of place on the outskirts of town where I visited last year to a legendary saloon-like location called Threadgill’s. This is a room with a long musical history, in fact, and when you see the style of the room, the neat stage, and the general setup for listening to music, you can understand why. And when I say legendary, and music… the story behind this place is that the original spot opened up in 1933 as a Gulf gas station, but the owner loved music. He got a beer licence, and it became a favorite winding down spot for performing musicians. Eventually he held a Wednesday open night, and there was a real cross of generations mixing the country musicians and the new 60s flower children. People like Janis Joplin, honed their style there, not to mention appearances by Jerry Lee Lewis and Captain Beefheart! Next, it was bought by the owner of the legendary Armadillo World Headquarters and celebrates in photos on the walls a spot under the name of Armadillo World Headquarters – for musicians to perform. I won’t lose anymore steam telling the story – no doubt inaccurately – so I refer you to the Threadgill’s site under the history section for the full story. 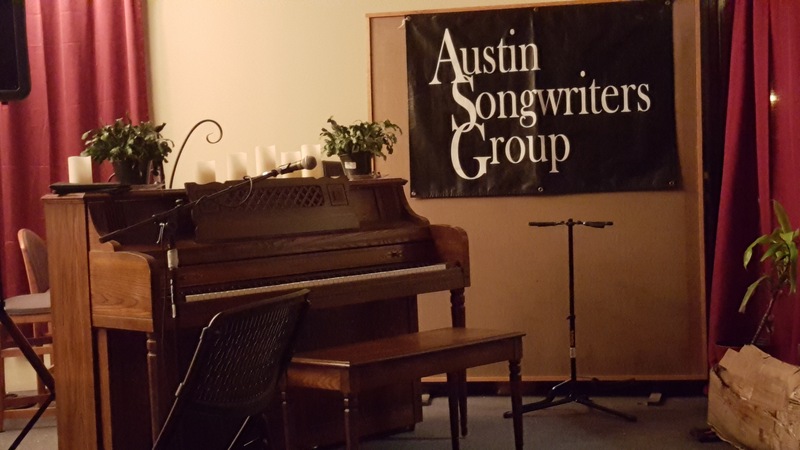 The Austin Songwriters Group had to move here from their previous place, and I can’t imagine it a loss – although at the other place they could stay later. 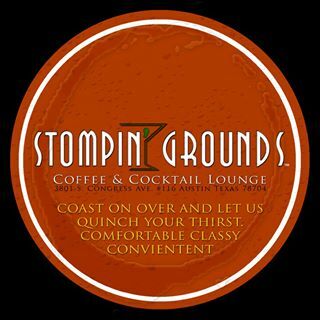 This open mic starts early, with sign up at 6:30 PM and the open mic starting at 7 PM and finishing precisely at 9:45 PM. That’s what I call early. But it DOES allow for musicians who are still hungry for music to go to any of several other open mics in Austin, and my choice on Monday was the Speakeasy, a not-to-far-walk over the bridge to Congress Street, where I have played in previous years, but never in the real Speakeasy joint on the rooftop café. It’s windy up there! And apparently cold in the winter. In any event, after the laid back singer songwriter night at Threadgill’s it suddenly went into overdrive weird at the Speakeasy, with just about every kind of performer imaginable playing on the neat little stage amongst the potted plants. Unfortunately I had my flight to catch fairly early the next morning, so I ended up being able to play only one song. Otherwise, I’d have loved to have stayed until the end, which is apparently around 2 AM. Check out the videos and go if you’re ever in Austin. I have updated my Thumbnail Guide to Austin Open Mics, Jam Sessions and other Live Music. I have not actually added any new venues, but I have updated ones that have either moved to a new day and location, or I have finally attended at the usual location, after they had temporarily moved to a new place on my last visits. 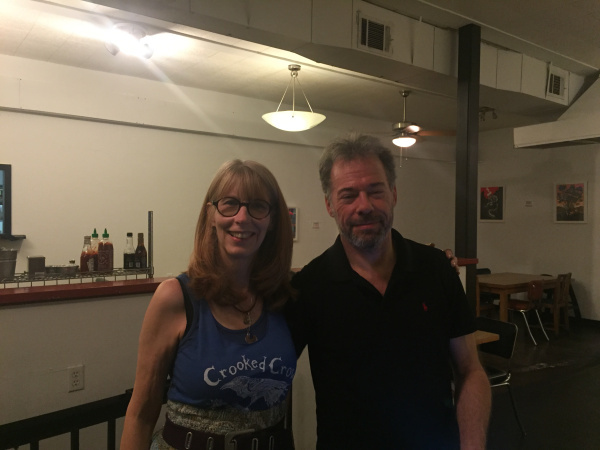 The big discovery was the new location (and day) for the Austin Songwriters Group’s open mic, on Monday’s at the legendary Threadgill’s off South Congress by the river in the center of town. I still have yet to do my blog write up about that one, as well as my visit to Speakeasy last night after the ASG event. (Two in one night.) But as I had a few minutes free in the airport before I fly to Atlanta and then Mexico City, I decided to update the guide. So take a visit to my Thumbnail Guide to Austin Open Mics, Jam Sessions and other Live Music.